Why spend hundreds, if not thousands of pounds on a website only to find that it doesnt generate any enquiries. Having been in the Internet Marketing and Website Design business for over 19 years we know only too well that Website Design and Search Engine Marketing functions have to work together. Many Website Designers say they are able to provide Seach Engine Marketing and get your website found in the search engines which unfortunately in many cases this just isnt true as they are Website Designers and not experts in Search Engine Marketing. 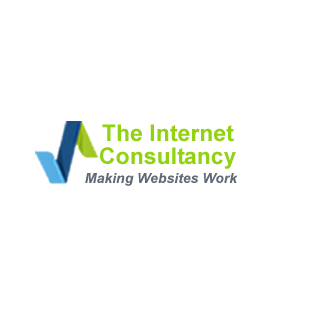 When the Internet Consultancy was established in 1999 the primary focus was to provide Search Engine Marketing services and we gradually moved into designing websites for local businesses, primarily in the leisure and tourism sectors. As we are marketing consultants first and website designers second we are in a unique position to know what makes a website work and how to generate enquiries. We understand the financial risk involved to a local business owner when deciding on an online marketing strategy so with that in mind we have introduced a leasing option to our Website Design services. By leasing a website, the intial capital expenditure is greatly reduced as is the associated risk, which should allow for the provision of a marketing budget to generate the initial enquiries which can then be developed or revised as the website and business becomes more established. We will provide you with example templates which after swapping out the dummy text and images for your own, can be used for leasing purposes. After an initial installation fee these websites cost from only £20 per month which includes secure UK based website hosting. We are also able to additionally provide Local Business Marketing and Search Engine Marketing advice to help move your business forward. **Soon we will add a range of templates below to provide examples of industry sectors, in the interim please contact us for further information. As always we are able to provide bespoke custom designed websites and can include a leasing package with these if required.